Are you noticing sparks or that your Athens outlets are overheating? Have outlets in your home or office become unsecured? Usually mounted on a wall or floor, outlets are supplying electricity through a cord or plug to lights, lamps, televisions, appliances, and more. With time and use, these connections can become loose and hazardous. In order to maintain the functionality of your home or office, it's important that the electricity is operating properly and efficiently. 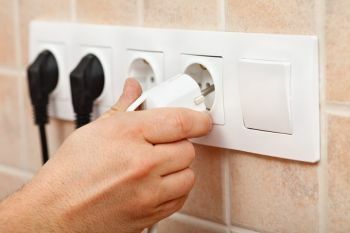 With thousands of electrical connections in your Athens home or office, it can be dangerous to tackle electrical outlet installations or outlet repairs alone. As the leading electrician for electrical outlets Athens, Georgia since 1960, our experienced, licensed team can assist you with installing or replacing Athens electrical outlets and receptacles in your home or commercial building. Meehan Electrical Services's qualified electricians can install new Athens outlets, move existing outlet locations in Athens, replace existing Athens outlets, repair faulty outlets in Athens, and much more. Meehan Electrical Services has over 59 years of experience replacing, installing and repairing outlets in the walls and floors of your Athens home and business. Need New Athens Outlets? Need More Athens Outlets? For over 59 years, Meehan Electrical Services has consistently followed local electrical codes and the National Electrical Code. Whether installing new Athens outlets, or moving existing Athens outlets, Meehan Electrical Services knows the electrical receptacle height and restrictions to determine the proper locations in the intervals of your home or office as well as determining the spacing between each of your outlets in Athens. Do Your Athens Need to be Replaced or Repaired? If your home or office has old or unsecured wiring, faulty electrical devices, overloading or were not installed properly the first time, Meehan Electrical Services can repair your existing Athens outlets in no time. Don't wait until sparks fly or your outlets in Athens become faulty. Call the experienced electrician in Athens for our outlets and receptacles. Call (706) 717-4947 for a free quote!